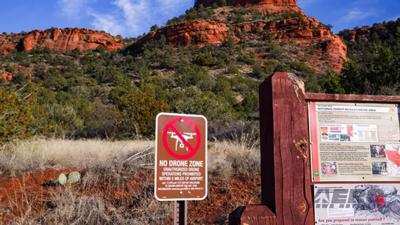 OK... it’s getting a little out of control... Signs have been popping up saying drone flights are prohibited on trails and in parks in and around Sedona, AZ, but there is apparently no way for anyone to enforce the "No Drone Zones". 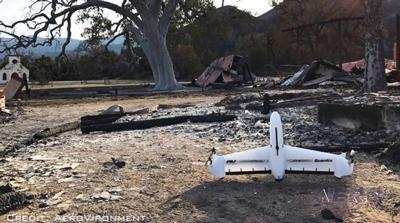 The signs say drone flights are prohibited within five miles of an airport, and refers potential drone users either to the airport authority or the US Forest Service. The airport website has a link to "Report" drone flights, which are referred on to Deborah Abingdon, Sedona’s airport manager. 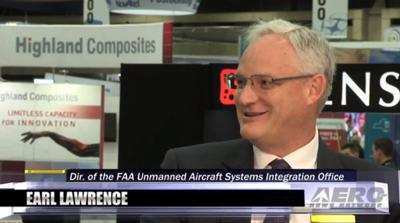 But the FAA says that airport operators cannot ban drones, according to FAA regional spokesman Ian Gregor. Getting a drone for the holidays? 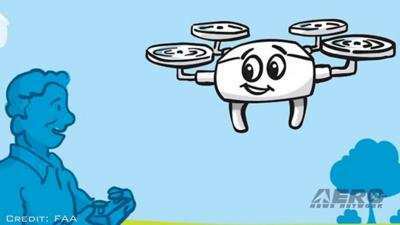 The FAA's “Buzzy the Drone” will help you learn the do’s and don'ts of being a responsible drone operator and flying your new purchase safely. Too many times, the FAA hears sad stories about what happens when inexperienced flyers take their drone out for its first flight. Sometimes a nasty tree will jump right into your flight path. All too often, the drone gets scared and flies away if you let it out of your sight. And upset neighbors may knock on your door if you fly over their backyard while they’re outside. Buzzy, a whimsical four-rotor drone, can help new operators avoid being “that guy or girl.” C’mon folks... we’re MUCH better than this. Reports of unmanned aircraft (UAS) sightings from pilots, citizens and law enforcement have increased dramatically over the past two years. 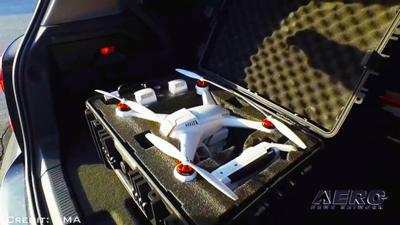 The FAA says it now receives more than 100 such reports each month, and the agency wants to send out a clear message that operating drones around airplanes, helicopters and airports is dangerous and illegal. Unauthorized operators may be subject to stiff fines and criminal charges, including possible jail time. All this -- and MORE in today's episode of the AMA Drone Report!! !